There’s something about creating something, out of nothing. We do it when we write. Ideas pop into our heads, seemingly out of nowhere and are transferred to the page. When people read our stories they go further, becoming ‘something’ in the mind of the reader. To me, it’s as close as I’m going to get to real magic in this funny old world and I love it. So to celebrate Winter Solstice this year I decided to try a different type of creativity…. 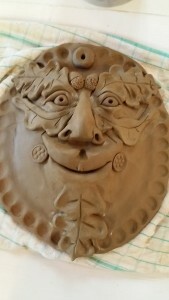 to make a Green Man ceramic mask at the local art cooperative, Incubator’s Green Man course. 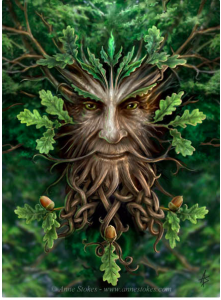 If you haven’t come across him, The Green Man is a decorative feature often found in architecture depicting a man’s face surrounded or covered in leav es, sometimes vines, fruit and other foliage. It’s seen as a symbol of rebirth and growth, associated usually with Spring. Although it’s not Spring here in NZ, once we hit winter solstice, we’re heading in the right direction, so it seemed like the perfect opportunity. Plus, I am not keen on polar plunges. 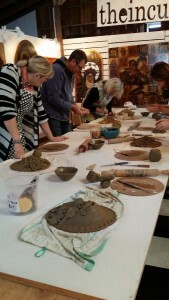 I hadn’t touched clay for decades so I was happy when our teacher and well known artist, Nick Eggleston reassured me that this course is perfect for a beginner. He guided us through every step, from how to mould and slap the clay to how to place separate pieces on to our base to form the face, starting from the lips and working up to the forehead. We worked quickly and dynamically, watching his example, always standing, sometimes dampening bits with water, occasionally using tools to get the desired effect. First my Green Man could speak and smile, then he could smell, finally we built the most important part – the eyes. When he could finally see, it felt like he had arrived. I don’t know about anyone else on the course, but using my hands, trusting the process guided by someone who could explain the trickiest methods in a clear way, and working alongside others to create our own special Green Man versions, was a magical experience. 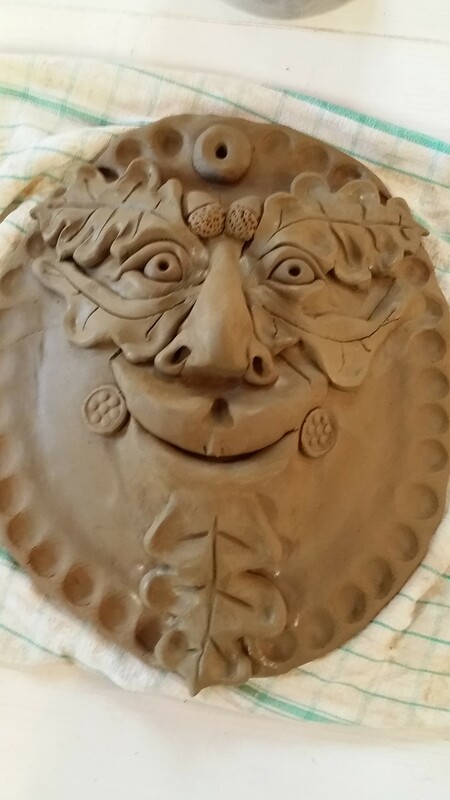 My Green Man will be terracotta coloured when it’s fired and I’m crossing my fingers I’ve constructed it strongly so it won’t crack in the kiln. I’m hoping to hang it in the garden, so that nature can take over and make it truly green. Nice work, Jan. On the writing (always) and the art (very cool). Hey Dawn, thanks. Check out the Incubator courses. Was good for the soul.